For those who are planning a vacation or even a short business trip, this is the time to be the most cautious, and not bring home more than your belongings. 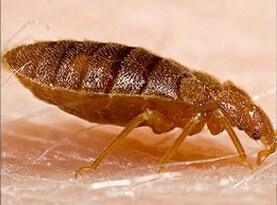 Bed bugs are hitchhikers that are commonly found in temporary lodgings. Bed Bug Free would like to help make you aware of the possibilities of bringing home those nasty bed bugs, and what to do to prevent them from becoming a problem in your home. What Are the Chances of Bringing Bed Bugs Home from a Hotel? When traveling, you want to be careful not to bring bed bugs back with you. 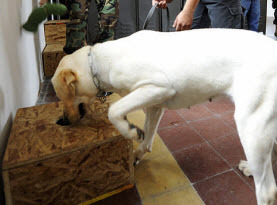 When you get to your temporary lodgings, you want to be cautious. 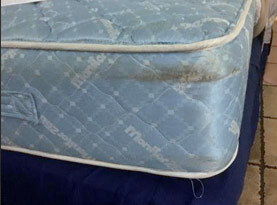 Bed bugs are found in hotels, motels and other accommodations all the time. Don’t put your luggage on the floor or on the bed. This is a common thing to do, but you can let bed bugs into your luggage if you do so. Either put it on a luggage rack and if there isn’t one in the room, put your bags in the bath tub. Sounds weird, but bed bugs can’t crawl on smooth or glass surfaces. The bathtub is the safest place to put your luggage temporarily. How to Check for Bed Bugs in a Hotel Room? Now that your belongings are safe, begin a search of the room. Bed bugs got their name because they are commonly found in the bed. So start there. Examine the bed frame, mattress, and box springs. They will hide in crevices and the seams of mattresses. If the bed yields no signs of bed bugs that doesn’t mean you’re safe. Next look around the furniture next to the bed and work your way from there. Bed bugs will travel 8 to 10 feet from their food source (you) at night. Bed bugs will hide during the day in dark places. You will want to check cracks in door frames, and floor boards. At this point if you have discovered bed bugs in the room, leave that room and ask for another one or change lodging locations completely. If your room shows no signs of bed bugs you can now rest comfortably. As your vacation comes to an end and you return home, stop relaxing and start thinking of the possibility that you may have unknowingly brought bed bugs back with you. Bed bugs are very small and easy to miss. When you first get home, be on red alert and don’t place your luggage on the floor. Go straight to the laundry room and not the shower which everyone wants to do. Place your bags on a rack or do the bath tub trick again. Start by washing everything that’s washable in the washing machine with hot water and use high heat in the dryer. Vacuum the luggage bags thoroughly. Some people even use a blow dryer and scan their bags. Heat kills bed bugs and their eggs. Once every thing was cleaned and washed, you can have your shower and relax the rest of the day. Bed bugs can be anywhere; inside buildings, transportation vehicles, and anywhere they can find a food source. Bed bugs feed on blood so as you can imagine they can be anywhere and everywhere. If you leave for vacation or a business trip be cautious. Bed Bug Free wishes you the best of luck on your journey and to staying bed bug free. 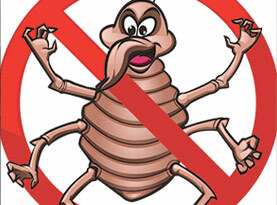 If you suspect bed bugs, contact us for assistance!